Whether you’re seeking an eco-adventure or quiet relaxation, our vast network of pristine back bays, rivers and estuaries provide the perfect setting. The Great Calusa Blueway Paddling Trail is a 190-mile marked canoe and kayak trail that winds through the inshore waters of Lee County, Florida. Step back in history and navigate the same trails used by the ancient Calusa tribe a thousand years ago. Each November, canoe, kayak and paddle board enthusiasts flock to the annual Calusa Blueway Paddling Festival, a nationally lauded four-day event held off the beaches of Fort Myers and Sanibel. 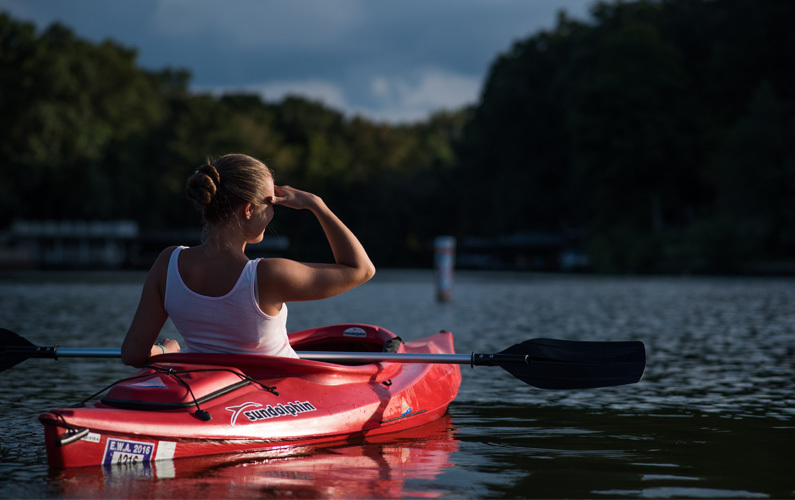 Thousands of like-minded adventurers celebrate the canoe and kayak lifestyle by participating in races, a photo contest, sand sculpting, and a fishing tournament. It’s also a good opportunity to check out the latest in watercraft and accessories.